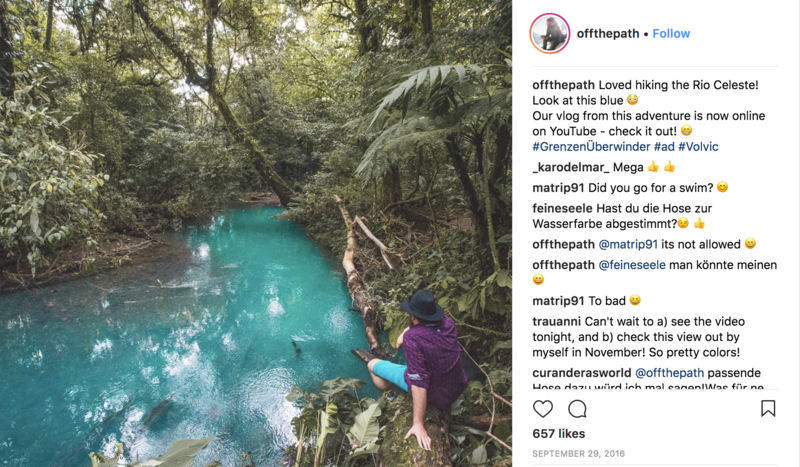 Sebastian Canaves is the adventurer behind @offthepath. 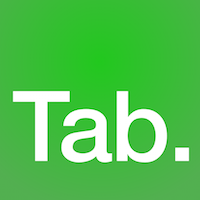 Check out his page for some inspiring photos from around the globe. Having so far visited 105 countries, Alvaro (@wanderreds) is well on his way to visiting every country in the world - all whilst working a 9-5! 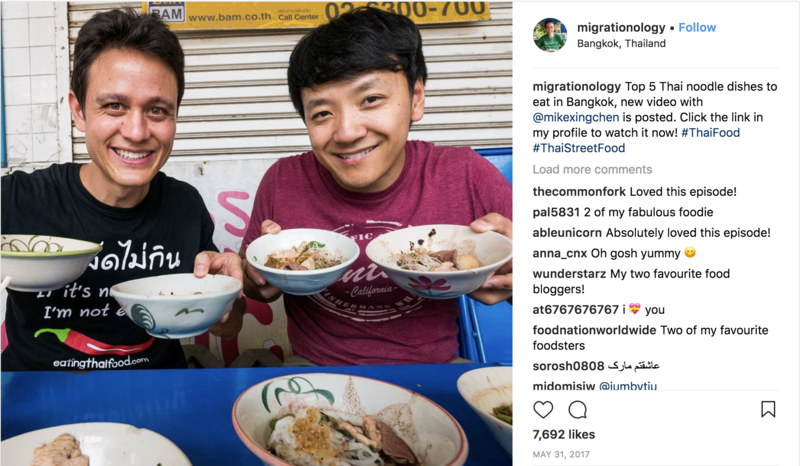 Follow Mark Wiens (@migrationology) on his foodie travels for some mouth-watering inspiration! 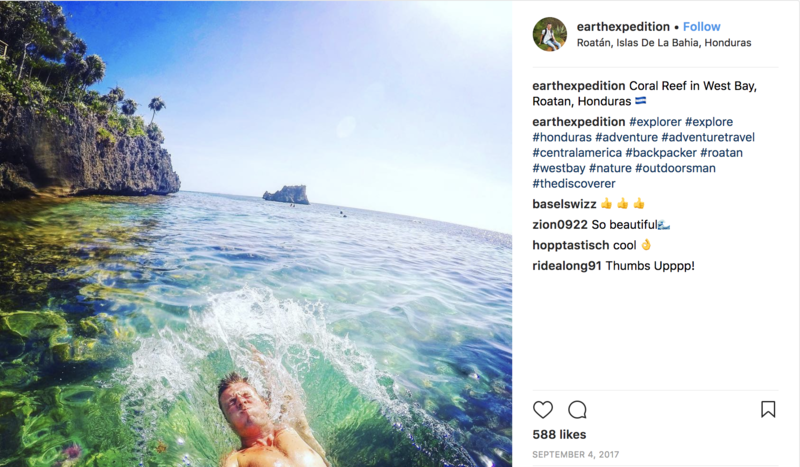 The awesome @earthexpedition is run by Owen Bullus, a London-based Canadian traveller. 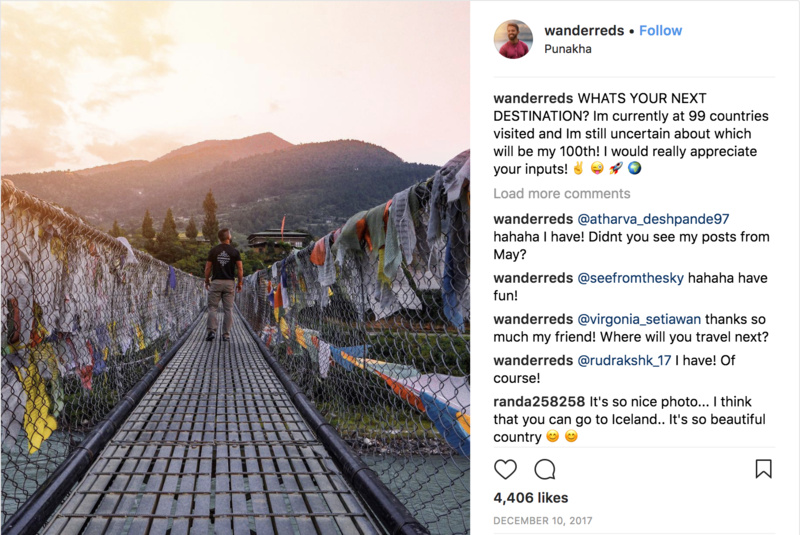 Follow him for some serious wanderlust! Travelling couple Jess and Charlie are the faces behind @the.travel.project. 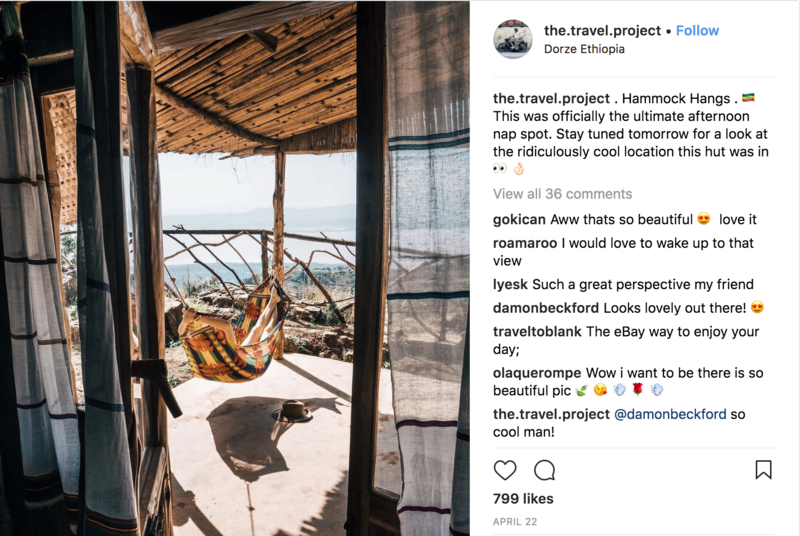 Guided solely by the Instagram community, they spend their days unearthing unique travel experiences and sharing them with the world.